It appears that sometimes there is justice in the world as the following story shows. Maybe the universe steps in occasionally to put things right. 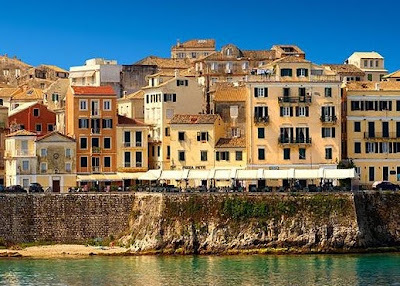 "On holiday in Corfu I booked a day trip on a boat. "Calling at one port, I saw a portrait in the market for 20 Euros, which I bought as a present. Taking it back to the boat, I put it beside my seat. But when I got off I forgot it, and I only realised once I had returned to the hotel. So I travelled back to the dock. "The boat had gone, so I went to see the agent, a lovely Greek lady, who'd sold us the tickets. She said her son, who worked on the boat, had brought the picture into her office, but shortly afterwards a Danish couple saw it and said it was theirs. But they mentioned they would be back the next day to book another trip, so she said she would collar them then! "I said I would pop back the next day too, but when I arrived, the lady said they hadn't returned, so I thanked her and left the office. "Then lying on the pavement outside, what should I find but a 20 Euros note. Unbelievable! 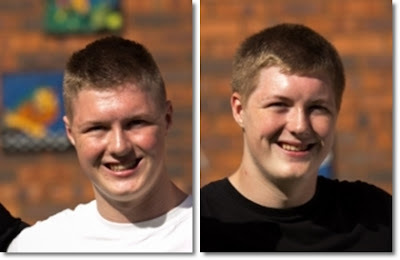 I had recovered the money I had lost on buying the missing picture." I saw this on the letters page of the Daily Mail newspaper. A while back we visited Salisbury Cathedral, which is believed to be on the same ley line as Stonehenge. It's a magnificent building and houses the world's oldest working clock - photo above. The first stones for Salisbury Cathedral were laid in 1202 and the clock is from 1386. It originally resided in a separate bell tower until 1789 when it was moved to it's present position in the North Nave Aisle. The clock has no face, as per modern time pieces, and was designed to strike the hours. The power is supplied by two large stones hanging from pulleys. As the weights fall, ropes unwind from the wooden barrels. One barrel drives the main wheel which is regulated by the escapement, the other drives the striking mechanism and the air brake. When the weights reach the floor, they have to be lifted back up again, a task that explains the presence of two large wheels shaped like steering wheels at either side of the clock. Salisbury Cathedral itself is a special place with Britain's largest spire at 404 feet (123m) and has the earliest choir stalls dating back to 1236. The Cathedral's Chapter House is home to the best preserved of four surviving original Magna Carta sealed by King John in 1215. Written in abbreviated Latin on Vellum, the document set down for the first time the relationship between the King and his subjects and their rights. The Magna Carta's significance in the democratic world continues today, inspiring documents from the United States Constitution to the Universal Declaration of Human Rights. I've often mentioned that I do not belong to any organised religion but I love the atmosphere and history of places of worship. I'd recommend a visit to Salisbury Cathedral if you are ever in the area and, while there, take a look at the world's oldest working clock, the tall spire, the medieval Cloisters, the Magna Carta, the 1236 choir stalls and so on. There's something about awful jokes that will either cause a chuckle or alternatively a groan. 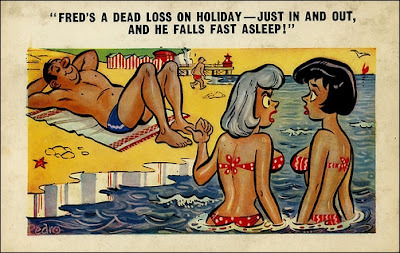 Here's a selection, all typically British - with a few traditional holiday saucy postcards thrown in. "Crime in multi-story car parks - that's wrong on so many levels." A strange thing happened during a performance of Elgar's Sea Pictures at a concert hall in Bermuda tonight. The man playing the triangle disappeared. "In a packed programme tonight we will be talking to an out-of-work contortionist, who says he can no longer make ends meet" ~ Ronnie Barker. 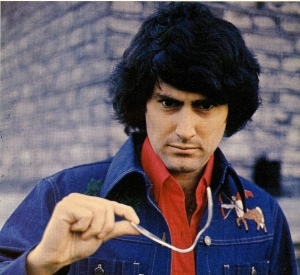 "The funny thing about going to a psychiatrist is that you have to lie down to learn how to stand on your own two feet." "I think my wife's tired of me. She keeps wrapping my sandwiches in a road map." "WARNING! The consumption of alcohol may cause pregnancy." "An old lady went to the doctor and asked for birth control pills. 'Why do you want them at your age' asked the doctor. 'They help me sleep better,' replied the old lady. 'How come?' 'Well doctor, I put them in my granddaughter's orange juice, and I sleep better at night.'" Velcro? What a rip-off! "Little girl to her friend: 'I'm never having kids. I hear they take nine months to download.'" Why did the skeleton fall into a hole? It was a grave mistake! 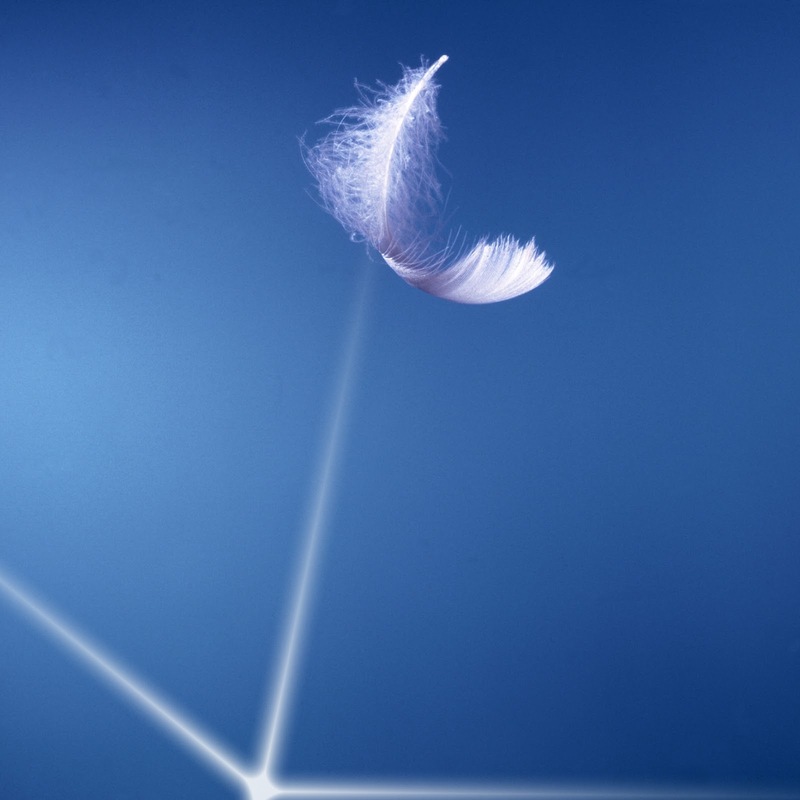 I have published numerous posts on how white feathers comfort the bereaved. Here's another short experience from a reader. "I have just came home from burying my Granddad's ashes after his funeral yesterday. As all my Granddad's close family and I were standing at his grave - having a couple of moments to gather our thoughts after a lovely service and looking at all the flowers - a white feather dropped from nowhere and landed centimetres from the open grave. 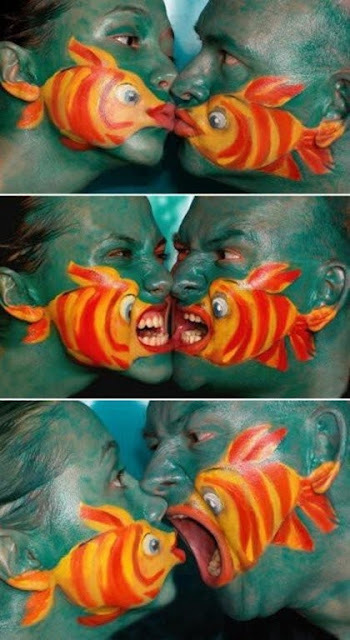 "Everybody just looked at each other in amazement. It was very surreal, but comforting to know my Granddad was there with us and probably now with his wife, my late Grandma as well. "I had never heard of this before until I have looked it up on line now. It had been a dark dull wet day and the feather was brilliant white and fluffy. It has amazed me and really put my mind at ease that he is okay." Now here's a strange thing, as I finished this post a white dove flew past my window! I've mentioned that I have been reading the 1974 authorised biography of Uri Geller by Andrija Puharich. 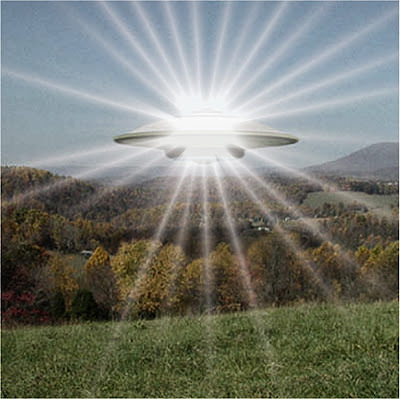 In this both of them claim to have been contacted by some sort of being or entity, which they initially called the intelligence from the sky or IS. I suppose the question is: Were Geller and Puharich being truthful, or was this something simply concocted to make Uri appear more interesting? Controversy often equates to lots of publicity. "The real intelligence behind us are us ourselves. We have passed our souls, bodies and minds into computers and moved several millions of light-years backwards towards your time and dimension. In due time we shall receive all material coming back to our own centre which is zoned into a different dimension than yours. 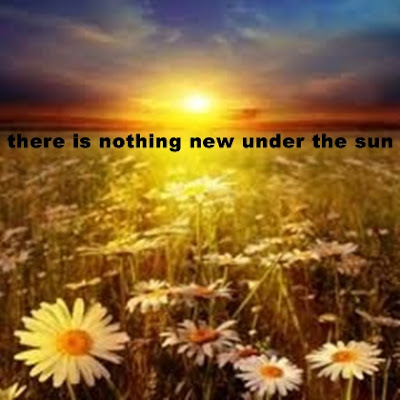 This different dimension lies beyond the so called star, and so called god, so called planet that you call the sun." " ... come in from our dimension by and with our vehicles which you call UFO's ... we bend, move, and material and dematerial things. That power we possess." "... let me describe to you what we mean by mass landing. We need that mass landing like you people on Earth call refueling and charging up, like a huge plane of yours charges up electricity. We do that through your barometrical and cosmic layer around Earth. We shall be charging up and vanishing again. This procedure will, or might, last from two to three weeks. We people have not yet planned this big mass landing. Many, many thousands of people will see us, but we shall control that. We can do almost everything that goes off in your head. We can be visible, and invisible." That's about all I want to mention. Readers can form their own opinions. These computerised beings, however, supposedly admit to being linked to the Nine Principles or the Council of Nine. More on this here and a very brief entry on Wikipedia. We met up with a friend we hadn't seen for quite a while and took her on one of our walks. I have written about this walk previously in my post In Search Of Celtic Crosses At St.Winnow In Cornwall. The walk takes in the lovely old church at St.Winnow. What I didn't mention last time was that this was used for scenes of the mid 1970s Poldark television series, based in the books by Winston Graham. It was quite a big hit in it's day. 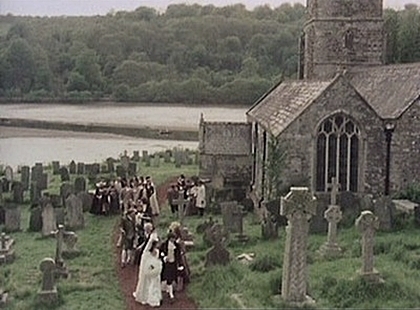 The wedding scene, as shown above, was filmed at St Winnow's Church. Shown in the photo from the left are Robins Ellis as Ross Poldark, Angharad Rees as Demelza, Judy Geeson as Caroline Penvenen and Michael Cadman as Dwight Enys. Most of the church has remained the same for centuries and dates from the 15th Century - though the oratory was originally built in the 7th century and parts of the North wall and transept date from the 12th century. The only image I could find of a large scene from Poldark isn't all that clear but, again, shows the wedding. By chance I snapped a similar photo, though from a slightly different angle and on a sunnier day. We ate our packed lunch in the churchyard over looking the river. It was about the half way mark on our walk and then it was off again over the green fields. "A couple of New Jersey hunters are out in the woods when one of them falls to the ground. He doesn't seem to be breathing, his eyes are rolled back in his head. The other guy whips out his cell phone and calls the emergency services. He gasps to the operator: 'My friend is dead! What can I do?' The operator, in a calm soothing voice says: 'Just take it easy. I can help. First, let's make sure he's dead.' There is a silence, then a shot is heard. The guy's voice comes back on the line. He says: 'OK, now what?'" I have doubts that it is really the world's funniest joke, it's a matter of taste I suppose. But, even with jokes nothing is new. 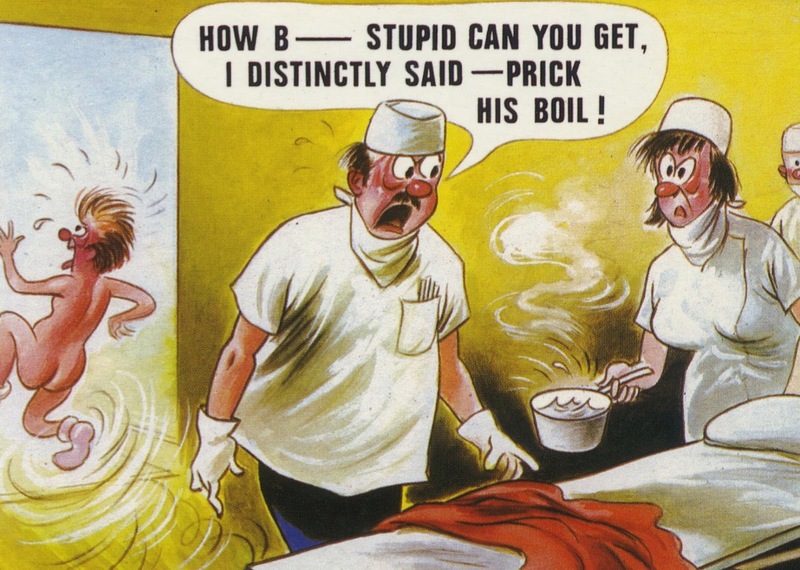 A joke going back to the 1950s was very similar and was featured in a sketch for a BBC radio show called the Goon Show. It was written by the great Spike Milligan and featured Peter Sellers and Michael Bentine. It really does seem that in life there is nothing new under the sun. The Bible said as much in Ecclesiastes 1:9 - "What has been will be again, what has been done will be done again; there is nothing new under the sun." Even of five hundred courses of the sun. If it's true that nothing is new, I wonder why we keep repeating the same mistakes, the same wars, the same conflicts, the same neglect, the same ... well everything. Will we ever learn? Perhaps history can give us the answers. 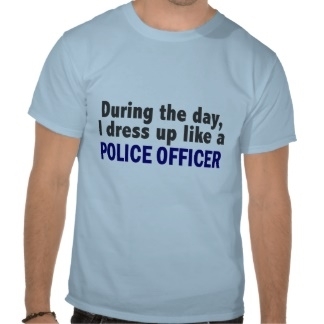 There's a lesson in this short coincidence story for those who like dressing up as police officers. One gentleman in northern New Mexico had all the police gear: police lights on his vehicle, a real police weapon etc. "So," he must have thought, "let's put this equipment to good use." 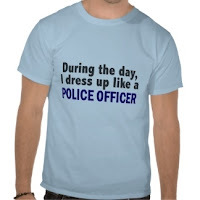 He was out and about, saw a speeding car and pulled it over. He told the vehicle occupants he was a member of the State Police Search and Rescue. All well and good but ... whoops! The two men in the vehicle really were law enforcement officers - in an unmarked car. 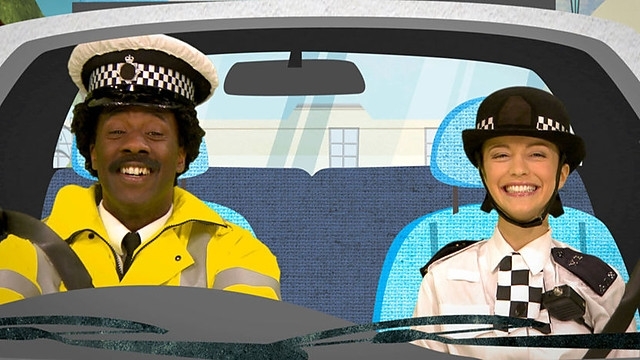 I guess the lesson is: if you want to pretend you are a police officer, just be careful who you pull over. "We are left to wonder, however, about one curious detail. 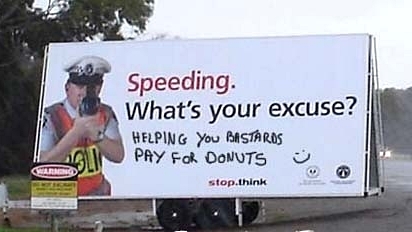 Were the state police agents actually speeding? If so, did they have a legitimate need?" But come on, police officers driving too fast when they don't need to - surely not!! A reader's coincidence story today from Sue - just follow those signs and instincts! "This is my coincidence story, and it has a happy ending. "Going back eleven years I had an old car that wasn't very reliable. I was in a car park after doing some shopping in town and when I got back to the car it wouldn't start. I didn't know what to do so phoned my dad who said he would be over in about half an hour. 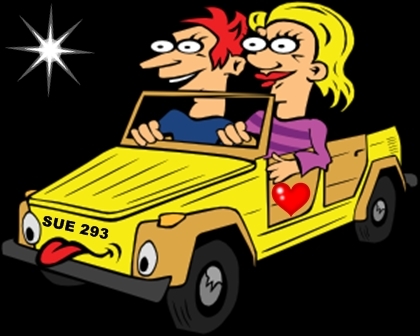 "I sat in my car while I waited and couldn't help but notice that the car opposite had the number plate SUE 293. My name is Sue and my birthday is on the 29th of March. "After ten minutes or so a very cute guy about my age got to the car and opened the boot while he put in some bags. I felt I should say something to him about the connection with his number plate but felt too shy to do so. He got in his car and drove away. Dad arrived and got my car started. "About two weeks later I was at a friend's party and met this guy. I felt I knew him but couldn't place his face at first. He asked me on a date and then I remembered where I had seen him before. He was the guy with the SUE 293 number plate. When he picked me up at home he was driving a different car. I asked him about the number plate and he told me it belonged to his mother and he must have been driving her car on the day I first saw him. Her name is also Sue. "The date went well, very well and we have now been married for nine years and have two lovely children. "I sometimes think about how I could easily have never seen my now husband again after the car park. The moral of the story is most likely that I should have followed my instinct in the car park that day. Fortunately I was given a second chance. "His mother sold the car with the number plate a few weeks after we went on our first date." Are Coca-Cola Drinkers The World's Worst Litter Louts? Perhaps it's something to do with the secret recipe that turns Coca-Cola drinkers into litter louts. I know I shouldn't generalise but why is it that so many Coca-Cola consumers don't appear to have the strength to either (a) carry their empty cans home or (b) put them into litter bins? People who drop litter annoy me at the best of times but yesterday I had to walk quite a way to pick up my car following a routine service. As I left my house I spotted the above sparkling, empty Coca-Cola tin wedged into our yew tree, so I took a photo. But as I continued walking I realised that Coca-Cola tins seem to be scattered everywhere. Do the drinkers think they make the world a more attractive place? Who the heck do they think will pick them up? I don't really expect answers to these questions because Coca-Cola must do something weird to the brain. Anyway, these are some of the Coca-Cola tins I saw on my walk to pick up my car. I got a few strange looks photographing them! Actually, thinking about it, Coca Cola drinkers may not be the worst litter louts. I'll just say one word: McDonald's. No I won't, I'll say a few more. Ever since a McDonald's opened on the outskirts of the town where I live there has been increased litter. As with Coca-Cola there must be something in the ingredients that saps consumers strength so that the minute they have finished their 'food' they have to immediately drop the boxes, cups and paper in which it was contained - no matter where they happen to be. As for McDonald's customers who also drink Coca-Cola I'm amazed that they have the ability to get home. No doubt many are scattered along the roadside lying next to their cans and litter waiting to recuperate. We can have hundreds of spiritual books but if we haven't actually experienced the content it's doubtful we have progressed spiritually. It's similar to distant places. We can read about them, but unless we visit them we haven't achieved very much. Attaining information for itself rarely makes us better people unless we put what we learn into action. I was rambling on to myself about such things when absent mindedly I picked up a book I have mentioned previously in my post The Book And Suffragette Coincidence. The book is called Natural Law In The Spiritual World and dates back to the 1880s. There is a signature inside dated July 24 1884. "In those churches especially where all parts of the worship are subordinated to the sermon, a species of parasitism is peculiarly encouraged. What is meant to be a stimulus to thought becomes the substitute for it. "The hearer never really learns, he only listens. And while truth and knowledge seem to increase, life and character are left in arrear. "Such truth, of course, and such knowledge, are a mere seeming. Having cost nothing, they come to nothing. The organism acquires a growing immobility, and finally exists in a state of entire intellectual helplessness and inertia. 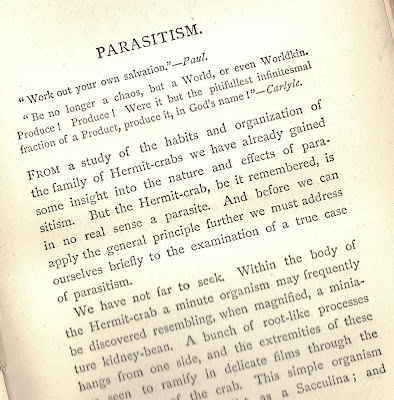 "So the parasitic church member, the literal 'adherent', comes not merely to live only within the circle of ideas of his minister, but to be content that his minister has those ideas - like the literary parasite who fancies he knows everything because he has a good library." The chapter goes on to talk about someone who joins a church. "What more likely than that a public religion should by insensible stages supplant his individual faith? What more simple than to content himself with the warmth of another's soul? What more tempting than to give up private prayer for the easier worship of the liturgy or of the church? What, in short, more natural than for the independent, free moving, growing Sacculina to degenerate into the listless, useless parasite of the pew?" "A physiologist would describe the organism resulting from such a process as a case of 'arrested development'. 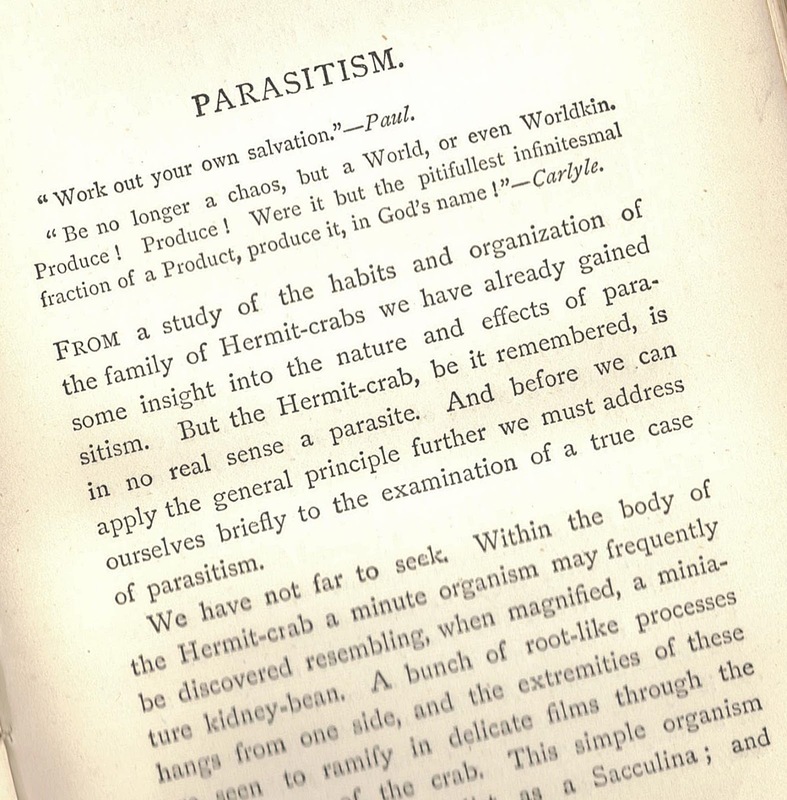 Instead of having learned to pray, the ecclesiastical parasite becomes satisfied with being prayed for. His transactions with the Eternal are effected by the commission. His work is done by a paid deputy. His whole life is a prolonged indulgence in the bounties of the church: and surely - in some cases at least the crowning irony - he sends for the minister when he lies down to die." There's obviously much, much more but you'll no doubt get the picture. 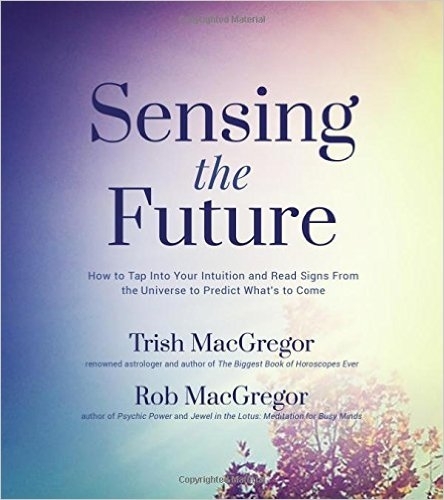 The author talks about how nature provides for all our wants. "She gives him corn, but he must grind it. She elaborates coal, but he must dig for it ... He must work, think, separate, dissolve, absorb, digest: and most of these he must do for himself and within himself. If it be replied that this is exactly what theology does, we answer it is exactly what it does not. It simply does what the greengrocer does when he arranges his apples and plums in his shop window ... but he does not help me eat them." As that naff expression says: We have to walk the walk. We won't get too far if we simply sit and watch others walk. Sacculina is a genus of barnacles that is a parasitic castrator of crabs. We have probably all heard of Flash Mobs but here's a variation on a theme - MedMob! No dancing with MedMob, this time it's meditation. The idea being to get all religions and beliefs together for a mass, hour long meditation followed by a Sound Bath of chanting. And that's what the short video - only just over one minute - is all about. This particular MedMob was in Piccadilly, London. Has the secret now been revealed as to where JK Rowling got the name for one of her Harry Potter characters? The answer may be on the tusk of a narwhal - once believed to be the horn of a unicorn. Forty years ago a gentleman now living in Cornwall purchased a narwhal tusk when a young man - some 40 years ago - for around £2000 ($2800). The tusk will now be sold at an auction in October, with a starting price of £20,000 ($28,000). The interesting thing about this tusk is that it has an inscription on the base dated 1881 as shown on the image below. And the Harry Potter connection? 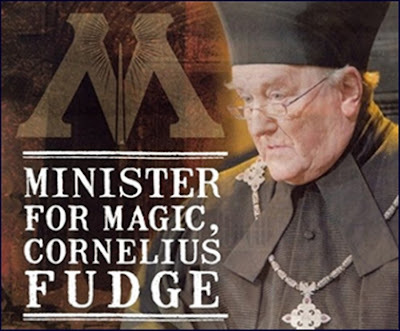 Well, it's the unusual name of Cornelius Fudge who is the Minister for Magic in JK Rowling's books. As Mr. John Jeffries, the present owner, explained: "It seems a bit of a coincidence. Narwhals used to be seen as mythical creatures, until they were discovered by the Vikings. It ties in well with the Harry Potter magical theme, so there’s a chance the two names could be linked." So there we go Potter fans. According to Wikipedia: "The narwhal, or narwhale, (Monodon monoceros) is a medium-sized toothed whale that lives year-round in the Arctic. One of two living species of whale in the Monodontidae family, along with the beluga whale, narwhal males are distinguished by a long, straight, helical tusk, actually an elongated upper left canine. Found primarily in Canadian Arctic and Greenlandic waters." 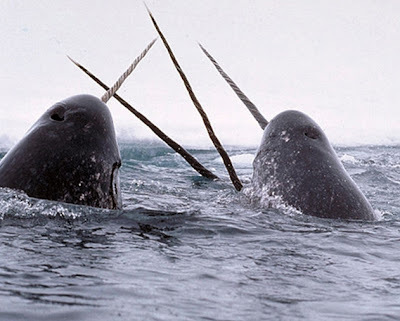 An Inuit legend tells of how the narwhal's tusk was created when a woman with a harpoon rope tied around her waist was dragged into the ocean after the harpoon had struck a large narwhal. 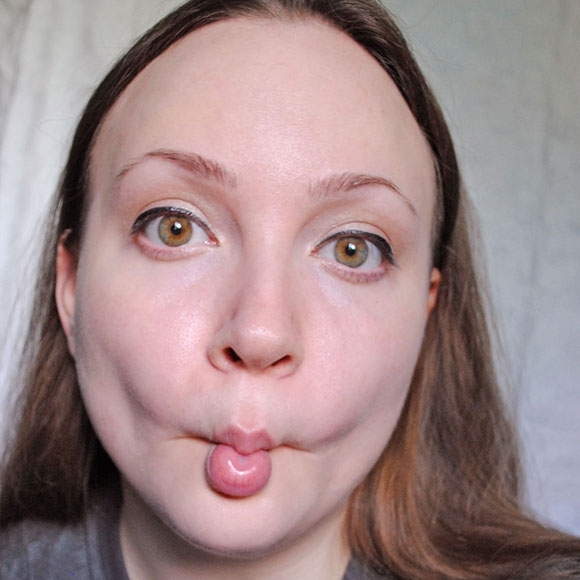 She was transformed into a narwhal herself, and her hair, which she was wearing in a twisted knot, became the characteristic spiral narwhal tusk. And why is Mr Jeffries selling the tusk? "I want to leave some inheritance behind for my children and two grand children. It’s not often you get the chance to pick up a tusk from an animal once believed to be the stuff of legend." 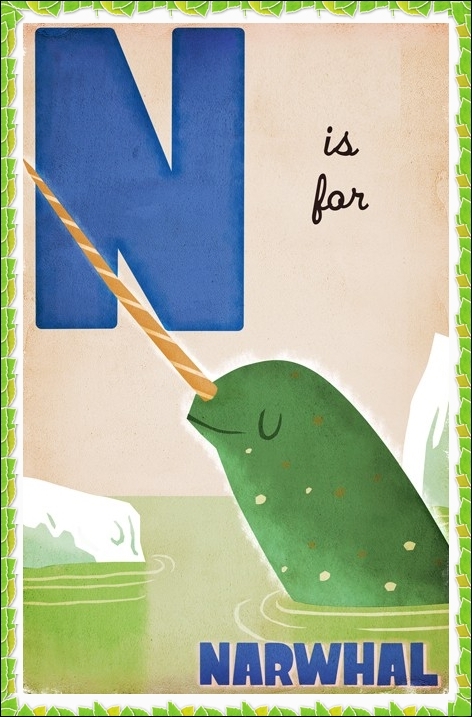 Okay, I thought that would be all I had to write about on the subject of narwhals and coincidences when I happened on Dr Deah Schwartz website where she was writing about the Narwhal Factor! "We laughed and chalked it up to coincidence. "She called me three more times that week. Once from FAO Schwarz Toy Store in Manhattan where they had a display of stuffed whales, the center piece was, of course, a narwhal. The cover of the National Geographic in her Dentist’s office - a narwhal. A book review in the New York Times was about ... well you get the point. We decided this was something that needed a name and so we dubbed it The Narwhal Factor." And isn't that how life is? Whatever we talk or think about comes to our attention over and over. So it's probably just as well to talk and think about what we want, as opposed to what we don't want. P.S. 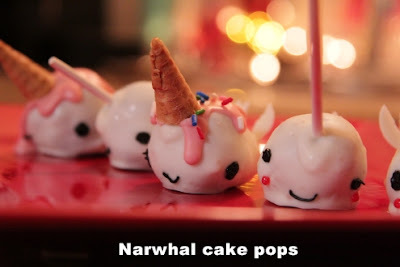 I also found some Narwhal cakes on the CupQuake website.